Rossinavi, one of the world’s premier ship-builders, is set to premiere Utopia IV, a 63 meter yacht at the Fort Lauderdale International Boat Show next week. 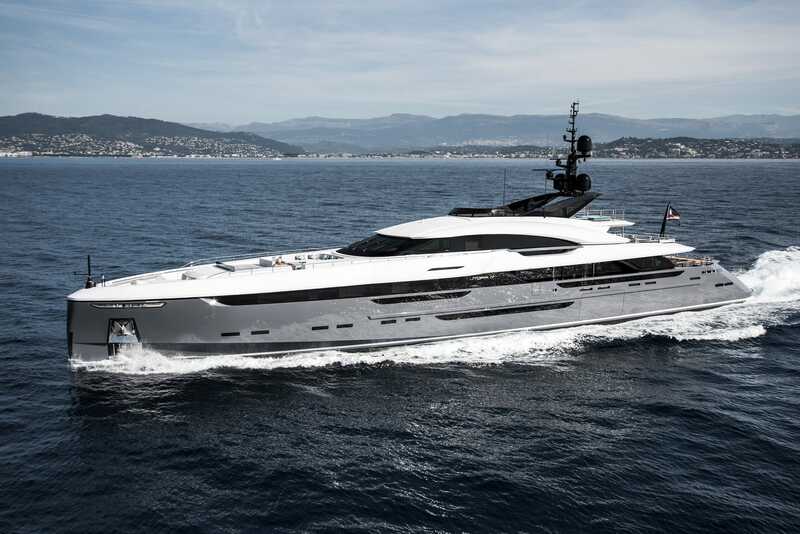 Utopia IV, a fully custom designed superyacht, will be making its public debut at the Boat Show after having been completed and launched for sea trials in March 2018, according to Rossinavi. The yacht has a ton of cool features, including a swimming pool on the main deck, a 70 square meter beach club in the rear that looks out at the sea, and a 16-meter long fly deck used for entertaining. 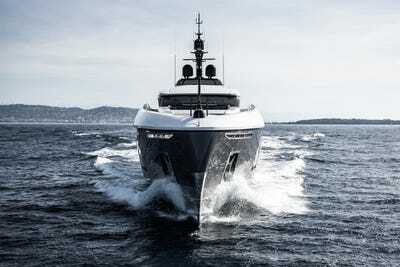 “We wanted it to feel like a speedboat, with a minimum draft, efficient in its range of navigation, with an intelligent propulsion and completely tailor-made,” said Federico Rossi, COO of Rossinavi, public statement. Rossinavi, one of the world’s premier ship-builders, is set to premiere Utopia IV, a 63-meter (206 feet) yacht at the Fort Lauderdale International Boat show next week. Described as “one of the top events in the yachting industry” by Yacht Charter Weekly, the Fort Lauderdale International Boat Show, or FLIBS, has been an industry staple for 59 years that attracts an international audience from over 52 countries. 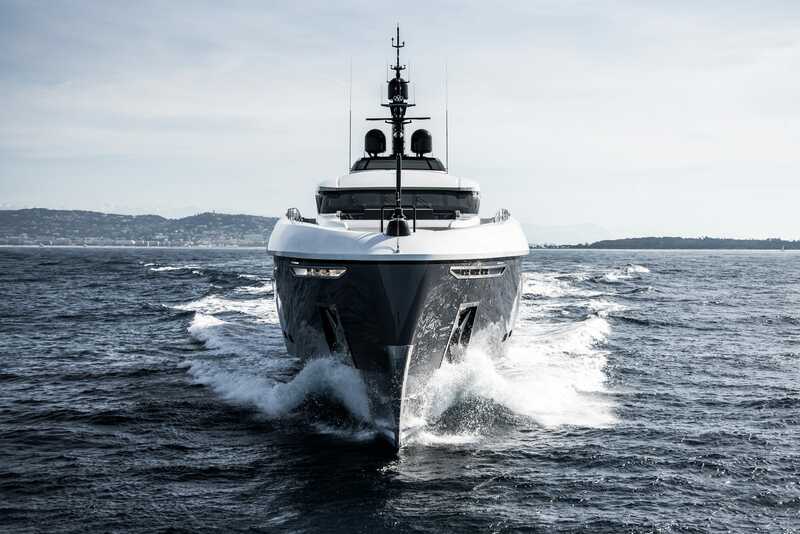 “We wanted it to feel like a speedboat, with a minimum draft, efficient in its range of navigation, with an intelligent propulsion and completely tailor-made,” said Federico Rossi, COO of Rossinavi, in public statement. 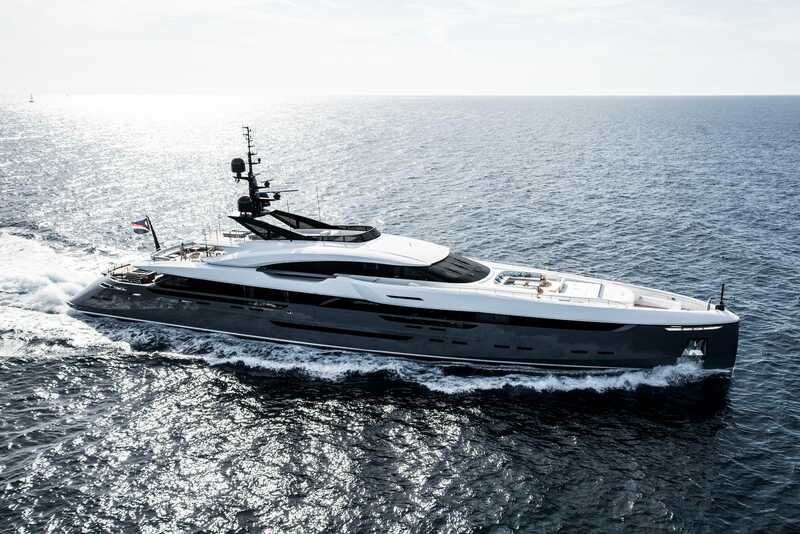 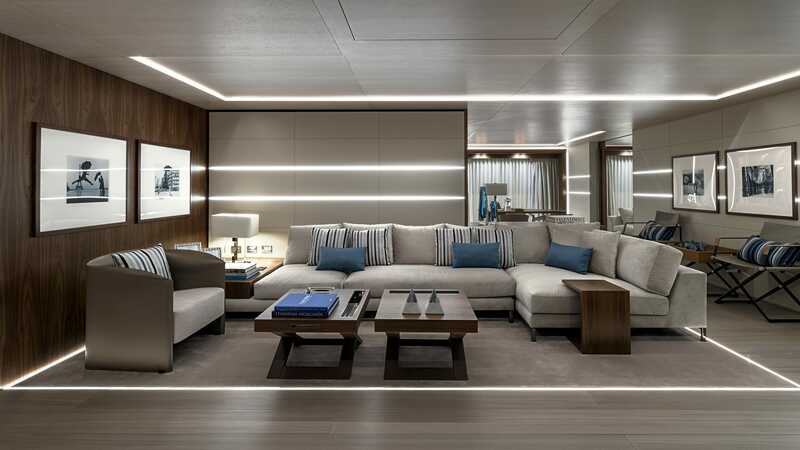 According to Rossinavi, the yacht has many impressive features, including a swimming pool on the main deck, a 70 square meter beach club in the rear that looks out at the sea, and a 16-meter long fly deck used for entertaining. 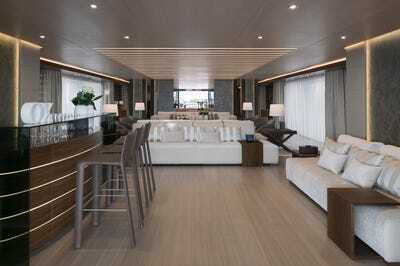 Boat International reports that the yacht can accommodate up to 12 guests across six cabins and 13 crew members. 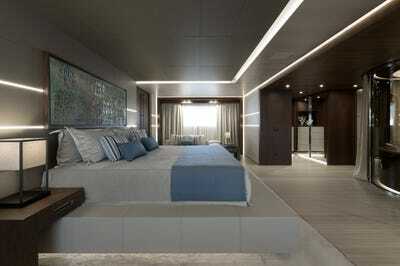 The yacht includes an owner’s stateroom that boasts a giant platform bed and in-room Jacuzzi, while also showcasing separate rooms like a state-of-the-art bridge room, engine room, and children’s playroom. 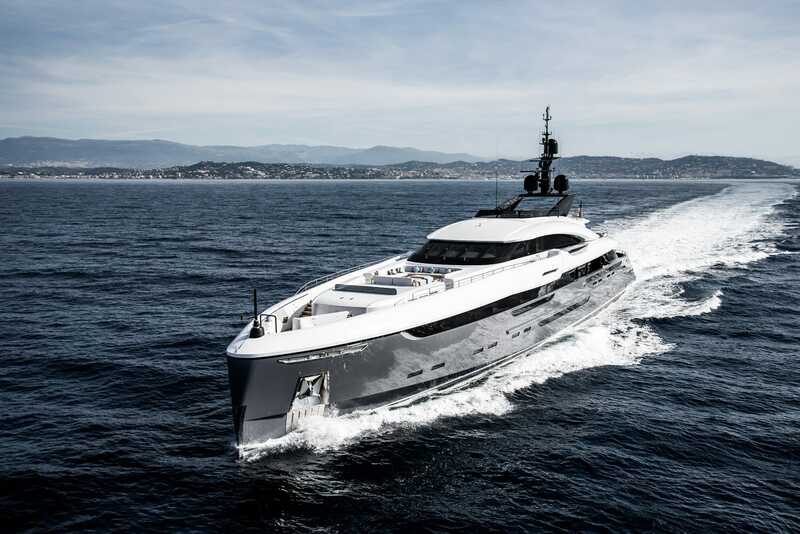 Because Utopia IV is privately owned, there is no estimated price available. 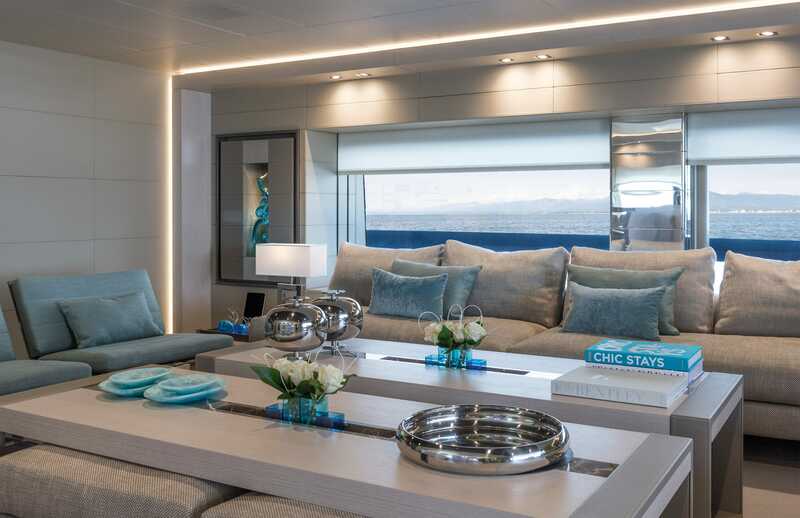 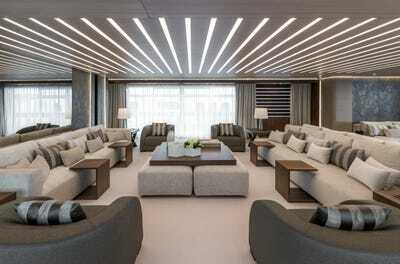 Take a look below at some photos of the yacht’s interiors and exteriors. 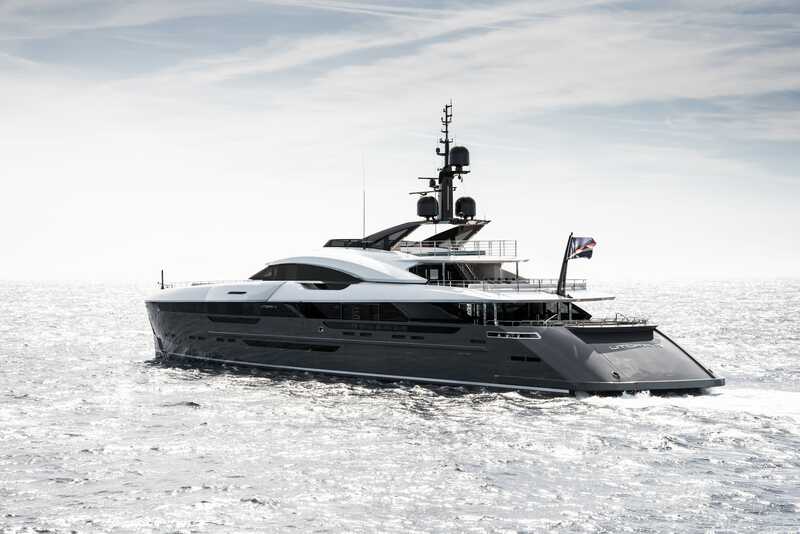 Utopia IV was completed and launched for sea trials in March 2018 in Pisa, Italy. 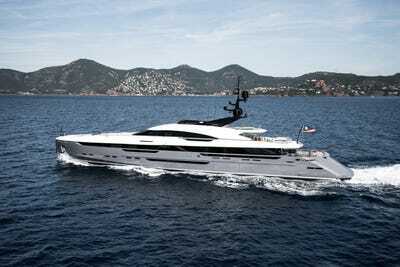 The superyacht is making its debut to the public next week at the Fort Lauderdale International Boat Show. 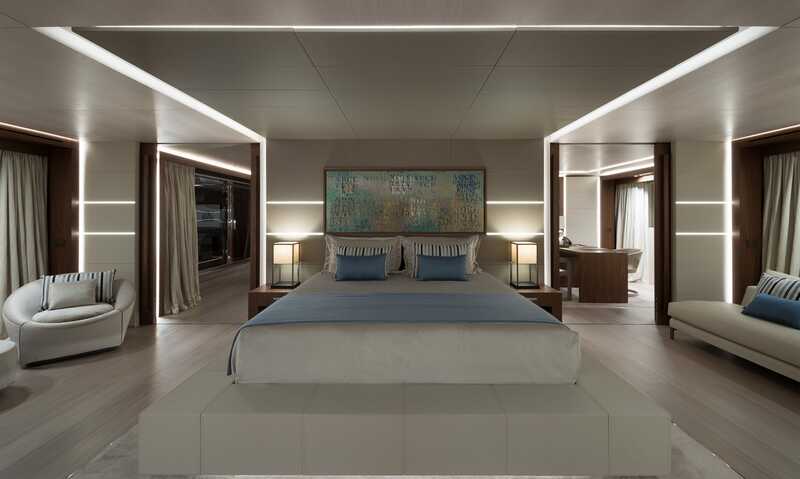 The interiors and exteriors were done by Enrico Gobbi of Team for Design, a Venice-based Architecture and Yacht Design firm established in 2005. Utopia IV’s sharp lines and low profile on the water are made to recall smaller speedboats. 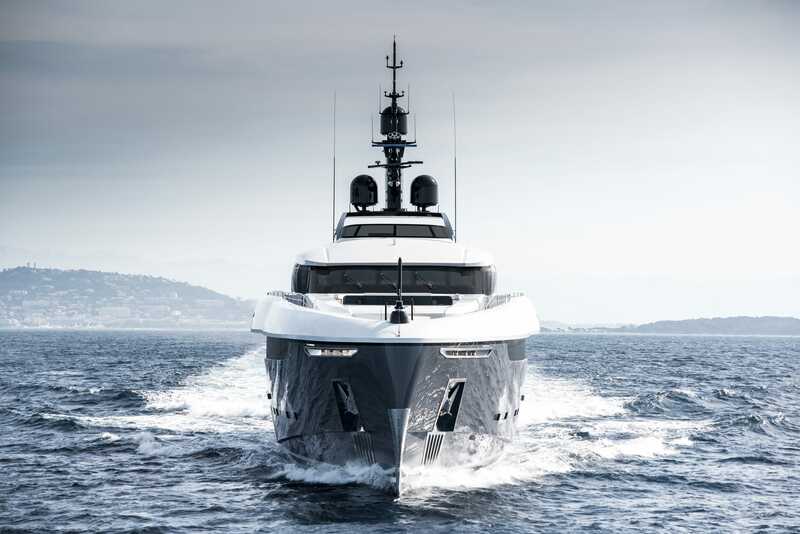 The ship’s aerodynamic silhouette was influenced by the design of modern automobiles. 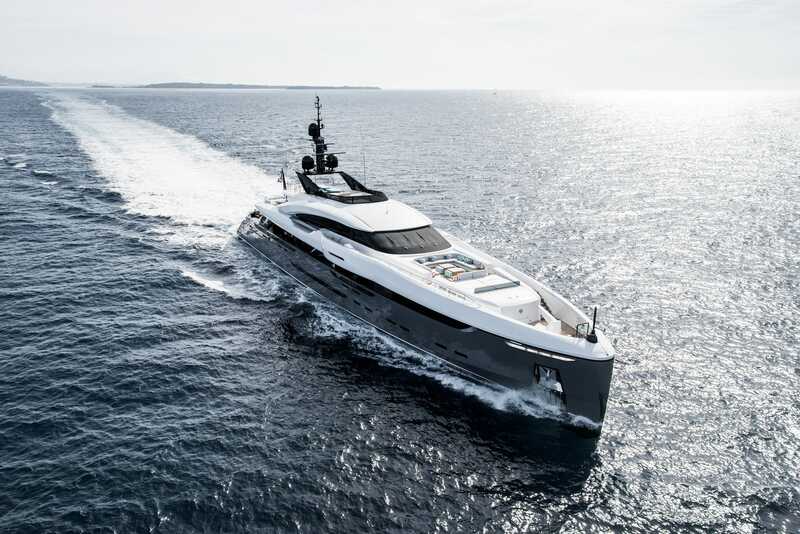 The boat is propelled by four Rolls Royce KaMeWa water jets and four MTU 16V2000 M96L engines to give it a top speed of 33 knots. The boat is 63 meters in length and has an estimated gross tonnage of 986. 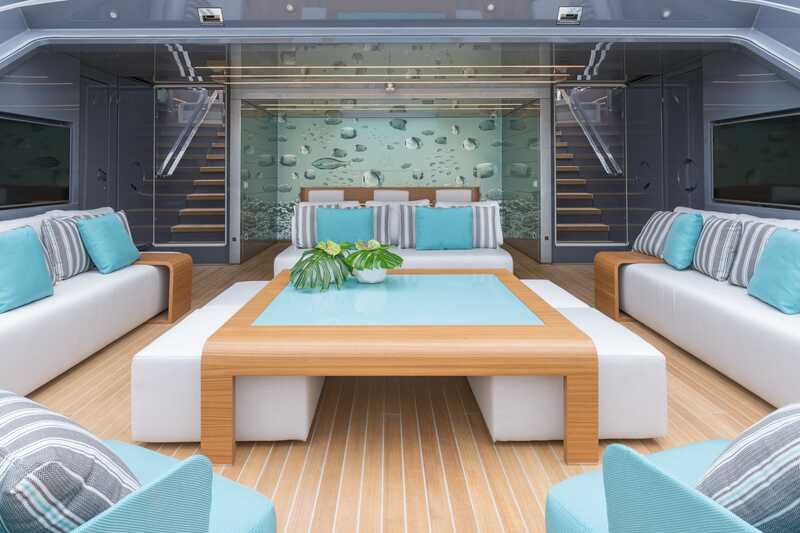 We know it’s beautiful on the outside, but let’s check out the dock and interiors. On the deck, the yacht has a 70-square meter beach club that opens directly out to the ocean at sea level. 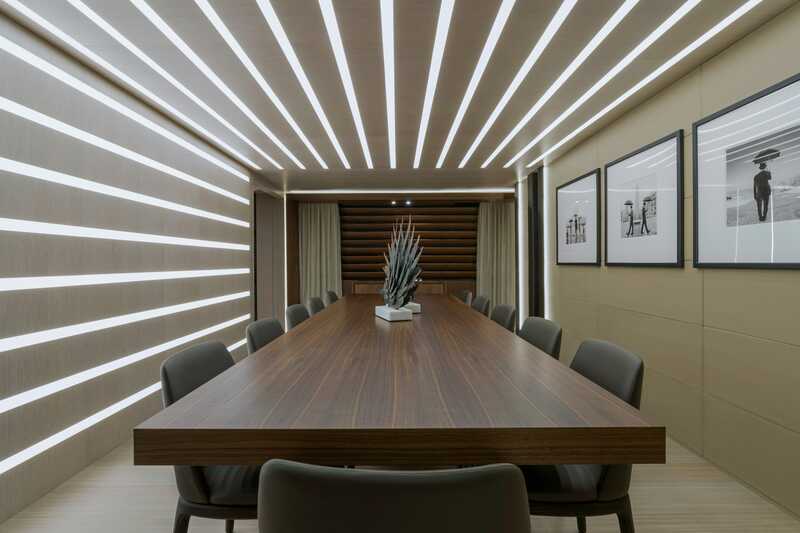 Gobbi’s interior mixes minimalistic style with modern Italian vibes. The results are both impressive and attractive. The yacht features sleek wood-paneling and slim lights built into the floors, walls, and ceilings. 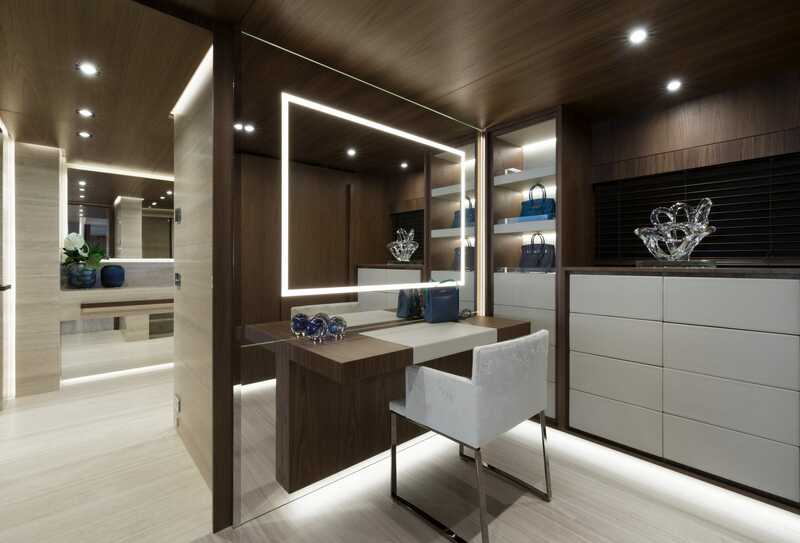 Even the mirrors have lights embedded into them. 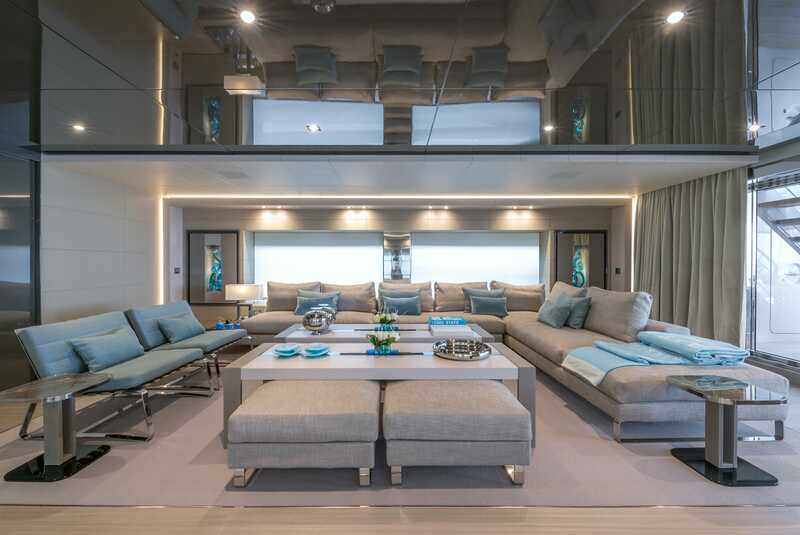 The living rooms are generous, with floor to ceiling windows looking out at the sea. The master bedroom has an elevated platform bed. The private study is a nice place to get work done. 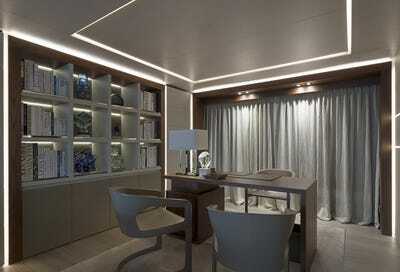 And the dining room has an intimate, almost futuristic feel. The guest bedroom is elevated and spacious as well. 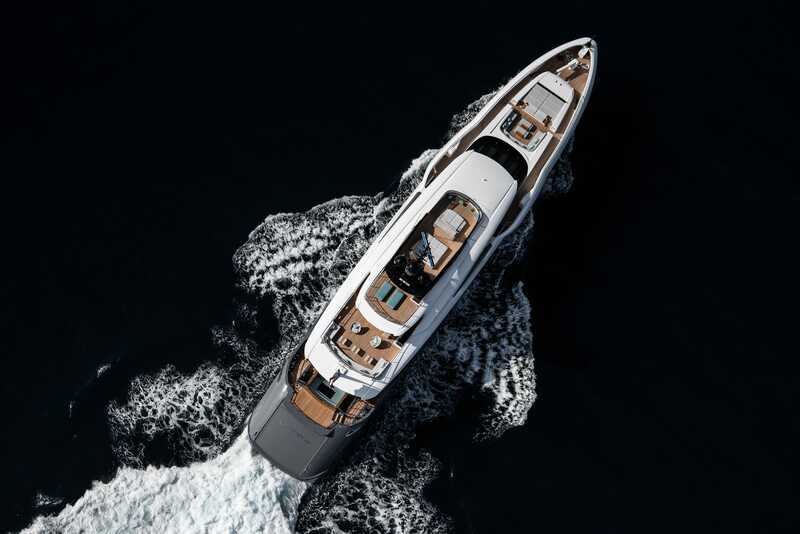 Rossinavi previously described Utopia IV as “the perfect compromise between a tri-deck motor yacht and a pure speed boat”. 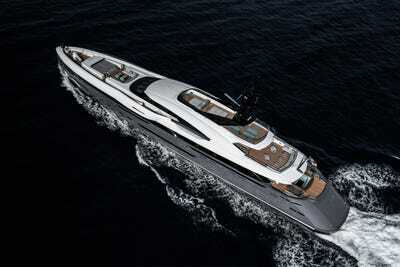 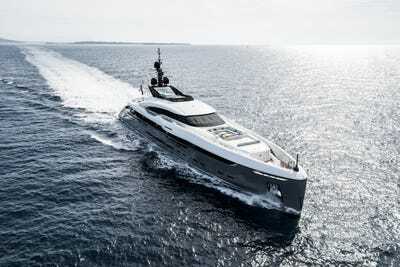 The yacht will be unveiled to the public October 31 through November 4 at the Fort Lauderdale International Boat Show.